I don't know that I would call those burnt ends, but they look amazing. I just don't have the time or smoking setup to make them. Let us know how they turn out. Same here. I saw that too. Ok, smoked pork belly on the Weber kettle, and the Slow-n-Sear. Great on flavor, but I wasn’t able to baby-sit the temps so it’s not perfectly rendered. Lesson learned for next time. Had been eyeing the traegers and looking for comparables for when I decided to upgrade. 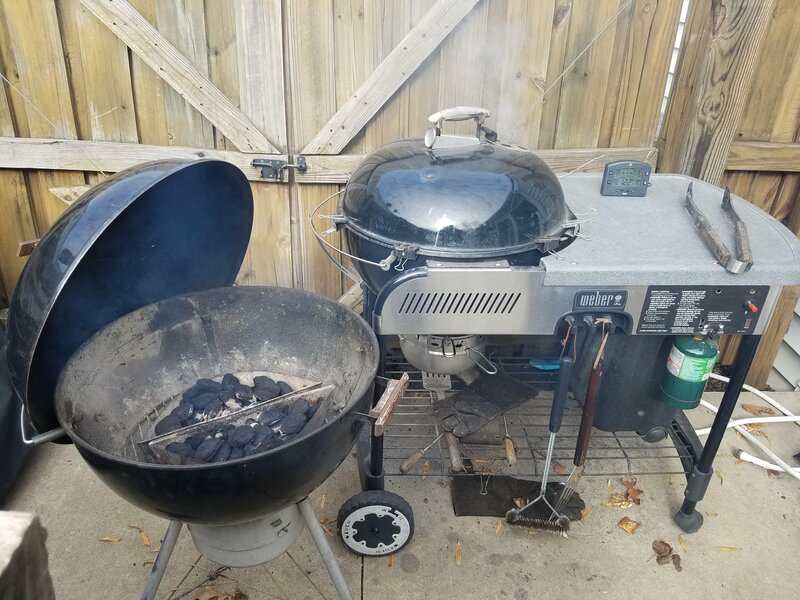 Well, The old grill burners started going low and not getting heat and was going to try and fix but wife said to just get a new one (probably just a regulator reset but I didn’t argue) so here we are! 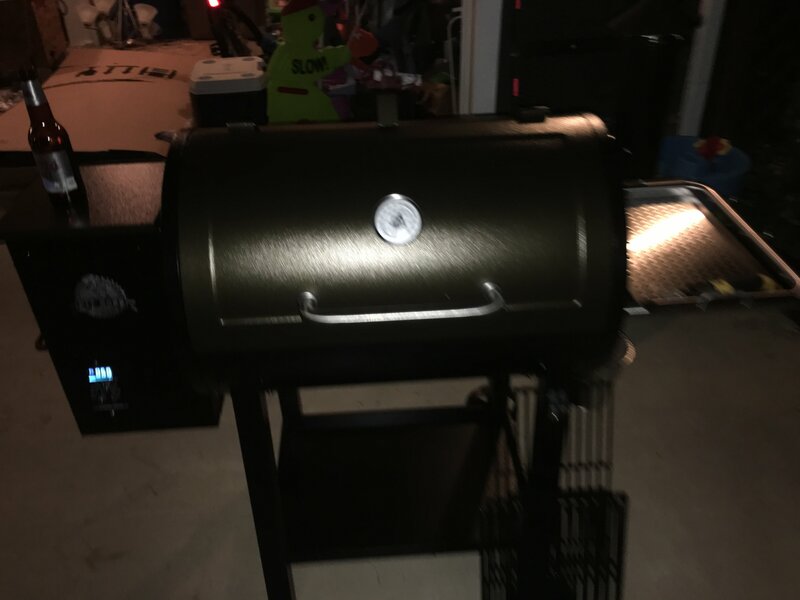 went with with pitboss 820 - was 20% off and about half the price of a same size traeger ($399). Anyone have experience with these? No experience with Pitboss but I’m a big fan of pellet smokers in general. 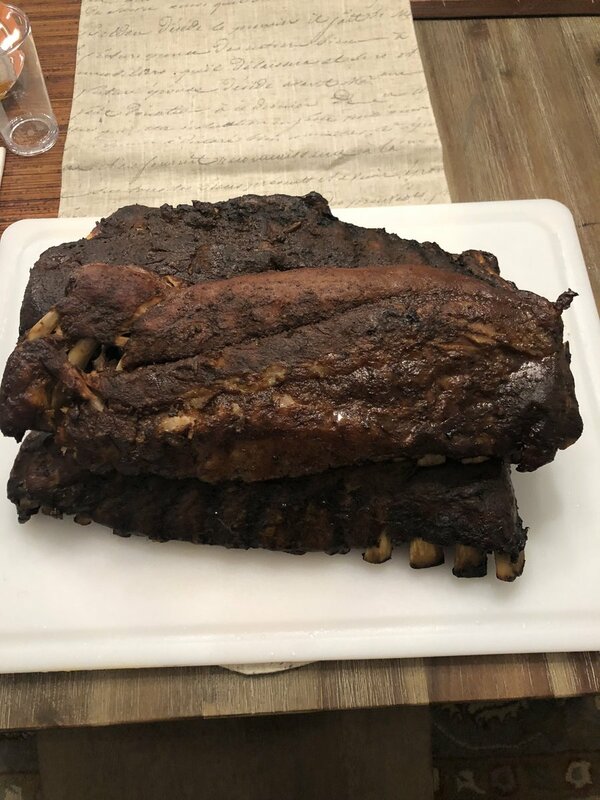 I’ve been using an old Traeger that my uncle gave me, getting comparable if not better results than folks with big smoking rigs. I do have some Pitboss brand pellets, a mix of a few different types I can’t quite remember but very good. 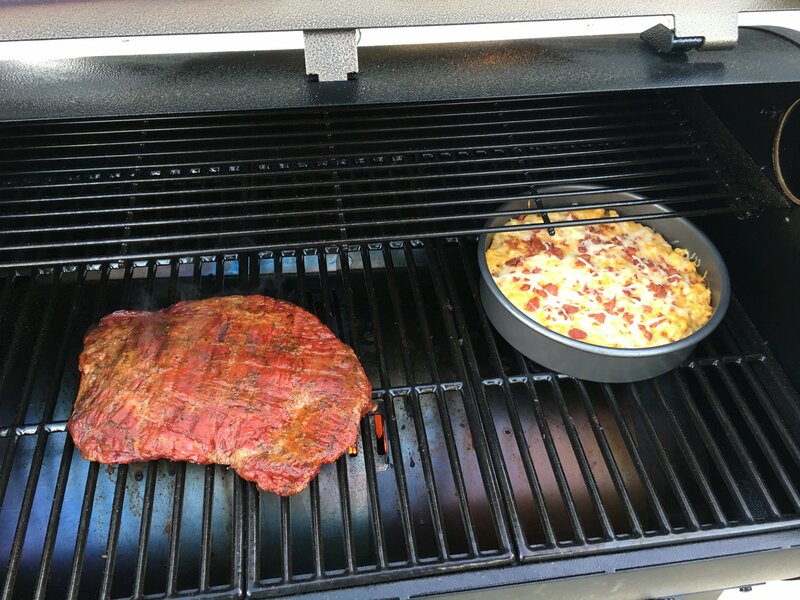 Did you follow the recipe on the Adrenaline web site? 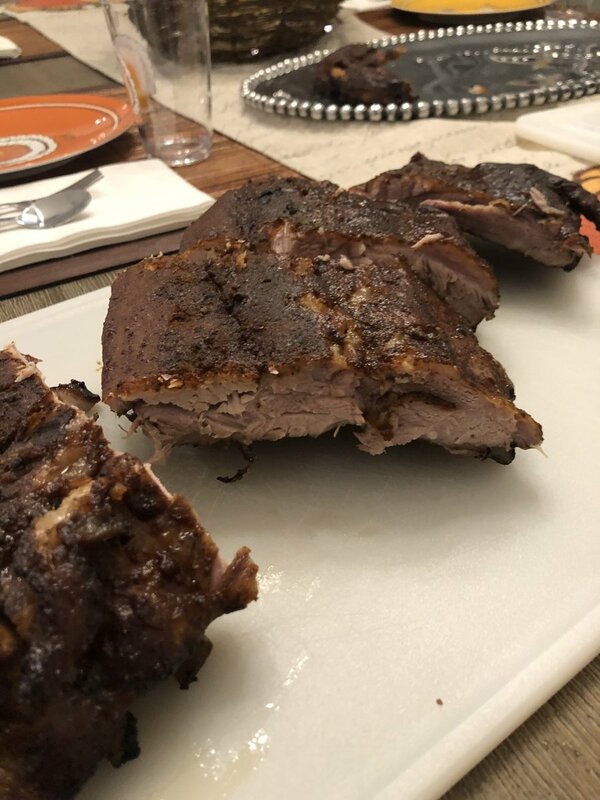 I was forced to do the cook when I wasn’t ready because one of my kids let my frozen pork belly thaw before I was planning. I was balancing half a dozen things all while trying to maintain my temp so I kept dropping and was never able to really settle in at a 225-250. 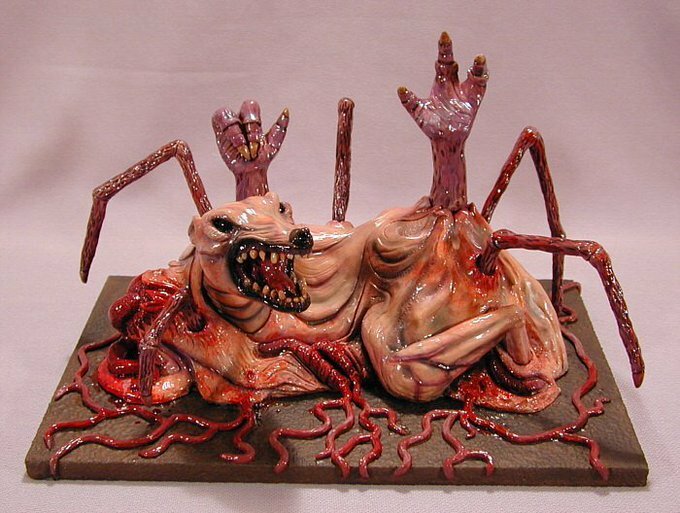 I’m going to put them in my oven, put them on a wire rack and covered backing pan with some water in the bottom to help render the fat more completely. My smoke penetration was excellent, beautiful pink rings with dark bark. Little thin sirloin steaks, room temp, sprinkled with med sea salt & cracked pepper with a splash of Worcestershire in foil boats in toaster oven on "toast" setting, light...flip steaks, set to medium toast. When timer goes off, leave it while you plate your sides. Pile sauteed onions on steak. @steve09ru What's your mac and cheese recipe/method? In Myersville, MD this weekend viditing family before a funeral. I had the opportunity to cook some chicken parm with vodka sauce from scratch. I feel like I’m much more confident about my cooking, I made this chicken parm from scratch with no recipe. My piece was a bit darker than I wanted because I had to use graded parm rather than a shredded parmesan. Doing a sous vide corned beef for Sunday. 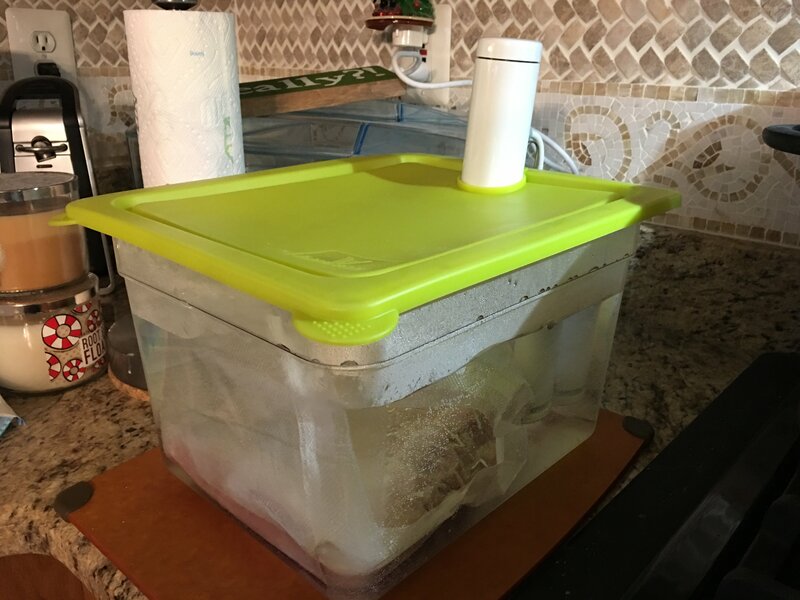 Bought an actual sous vide container to stop evaporation. 3-2-1 method on smoker: 3 hours of smoke with a dry run, 2 hours braiding with butter, apple cider vinegar and butter, then 1 more hour of smoke. 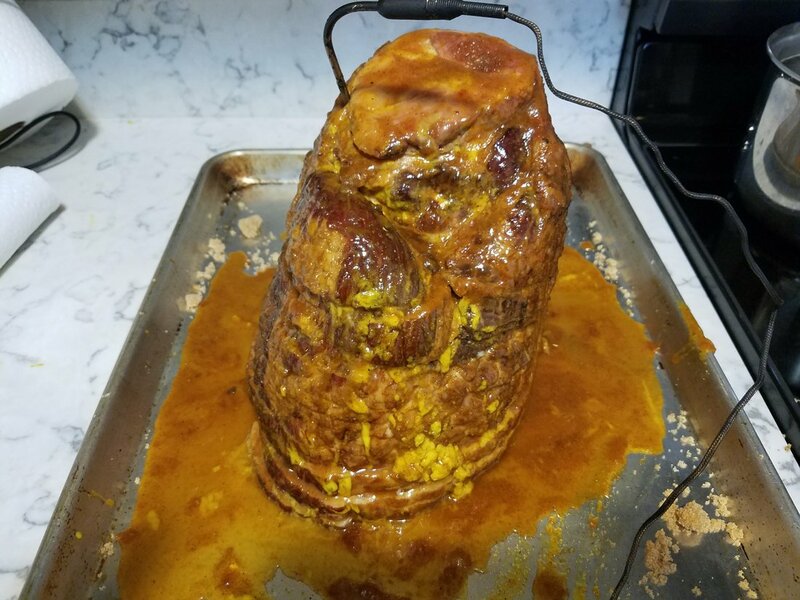 Meat thermometer recommendations? Got some bed bath and beyond gift cards so will probably grab it from there. Gonna smoke a turkey, prolly a 20lber. Could use advice there. assign responsibly for my 2 3 year old to 7 8 year old niece. Tomorrow is my favorite day of the year. My itinerary has changed slightly. brine or no brine? 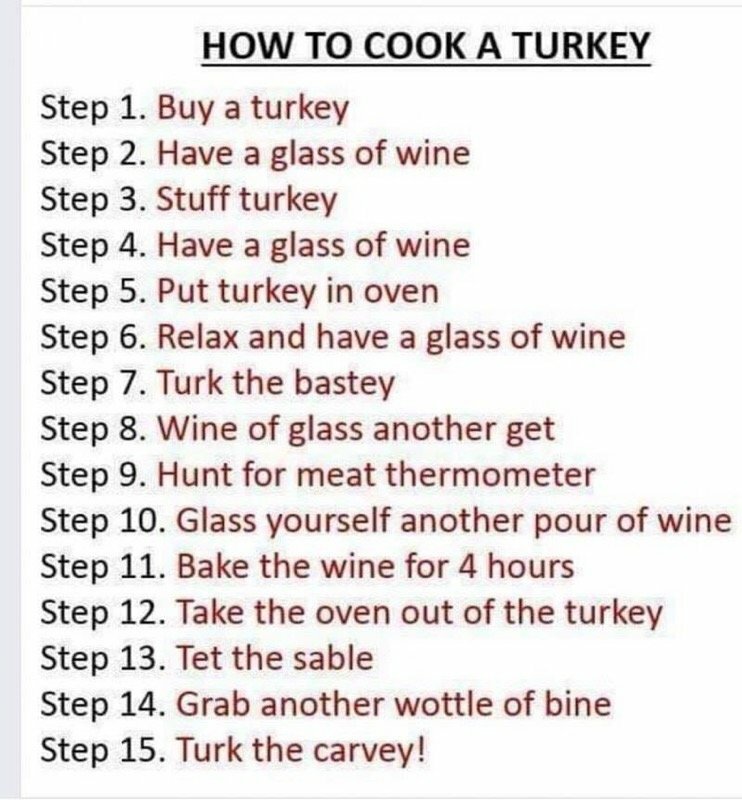 and if no brine, what do you typically do? What's interesting is last year I cooked the turkey in about the most classic no-frills possible way. Lifting the skin, rubbing butter underneath it, injecting the meat all over with a creole spice marinade, and stuffing it with sliced apples & oranges. Then just baked it according to directions, while basting it in it's own juices & drippings every so often. It was probably the best tasting turkey I have ever made. I am going to find out tomorrow if it was just dumb luck or not because I am going that route again. I was going to roast the Turkey, but I couldn't help myself. Gonna grill that sucker! 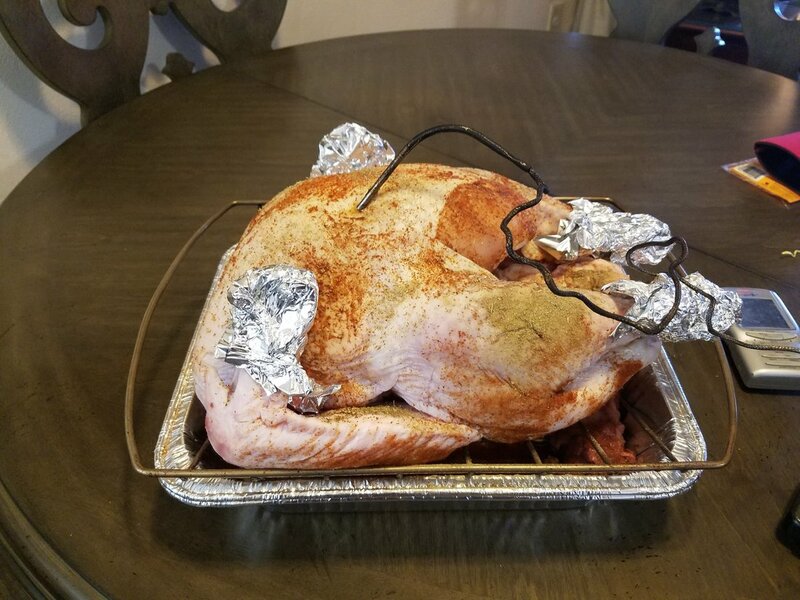 This was my first time making the Thanksgiving turkey.